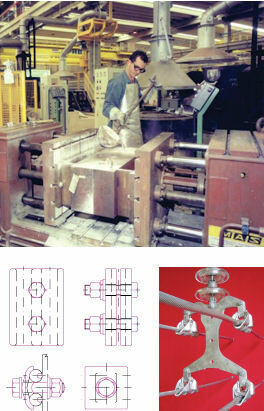 SAE Towers designs, tests and manufactures transmission line hardware. We design and provide a full range of insulator string components according to our customers’ electrical and mechanical requirements, with a special regard for live line maintenance considerations. Each hardware component that we design and manufacture is subjected to rigorous testing. RIV, corona and power arc electrical performance tests are conducted when requested on insulator strings. Mechanical tests for rupture, slipping and torque are performed on all components.